SURVIVE: The Atlantis Grail (Book Four) Coming soon! QUALIFY, Book One, COMPETE, Book Two, and WIN, Book Three, available now from Norilana Books! You have two options. You die or you Qualify. The year is 2047. An extinction-level asteroid is hurtling toward Earth, and the descendants of ancient Atlantis have returned from the stars in their silver ships to offer humanity help. They can only take a tiny percent of the Earth’s population back to the colony planet Atlantis. And in order to be chosen, you must be a teen, you must be bright, talented, and athletic, and you must Qualify. Sixteen-year-old Gwenevere Lark is determined not only to Qualify but to rescue her entire family. If you are good enough to Qualify, you are eligible to compete in the brutal games of the Atlantis Grail, which grants all winners the laurels, high tech luxuries, and full privileges of Atlantis Citizenship. And if you are in the Top Ten, then all your wildest wishes are granted… Such as curing your mother’s cancer. There is only one problem. Gwen Lark is known as a klutz and a nerd. While she’s a hotshot in classics, history, science, and languages, the closest she’s come to sports is a backyard pool and a skateboard. This time she is in over her head, and in for a fight of her life, against impossible odds and world-class competition—including Logan Sangre, the most amazing guy in her class, the one she’s been crushing on, and who doesn’t seem to know she exists. Because every other teen on Earth has the same idea. You Qualify or you die. Now you can read Chapter One in its entirety (click here)! Click here to visit The Atlantis Grail Facebook page. First Draft being serialized on Wattpad (click here)! Giveaway ends September 01, 2015. This looks really fascinating. Can’t wait for the release date! Loved both books, read them both in three days because i couldn’t put them down. No update in two months as to when Win will be coming out. Do you have any more information for us? Just checked facebook. Nevermind, keep up the good work. I know I just finished book two and it was amazing now I’m wait for book three soo I can find out what is happening…. I couldn’t put this book down, they were outstanding love them and can’t wait for the release of book three. Can you give an update on when Win will be out??? Oh, I am so glad you enjoyed! 🙂 And don’t worry, book two, COMPLETE, will be here sooner than you know! July 20, 2015 is the expected release date. Wow okay so a while back I found Qualify on Wattpad and read up all the way until it stopped. I was crushed when I saw that there wasn’t anymore (it was probably the worst possible point to stop for a reader, it was right before she plunged in L.A for the semi-finals) So determined to finish it, I went and bought it for the nook. Let me just say that this is one of the best books I’ve read in a long time. Literally can not wait for July 20th. I’m so excited! Oh, thank you so much! 🙂 You have no idea now good it it to hear that my story was well liked! I am currently hard at work on book two, COMPETE, and yup, it’s coming in July! Not that long to wait! Thanks so much again, and welcome to my website! And LOL! Sorry, but if I say anything that would be major spoilers! Agreed, Logan is awesome, but so are some of the other guys in the story, so… You and your friend will just have to keep reading the next books to find out! 🙂 And good luck on the bet! May I Just Ask if you will publish it again in wattpad?? 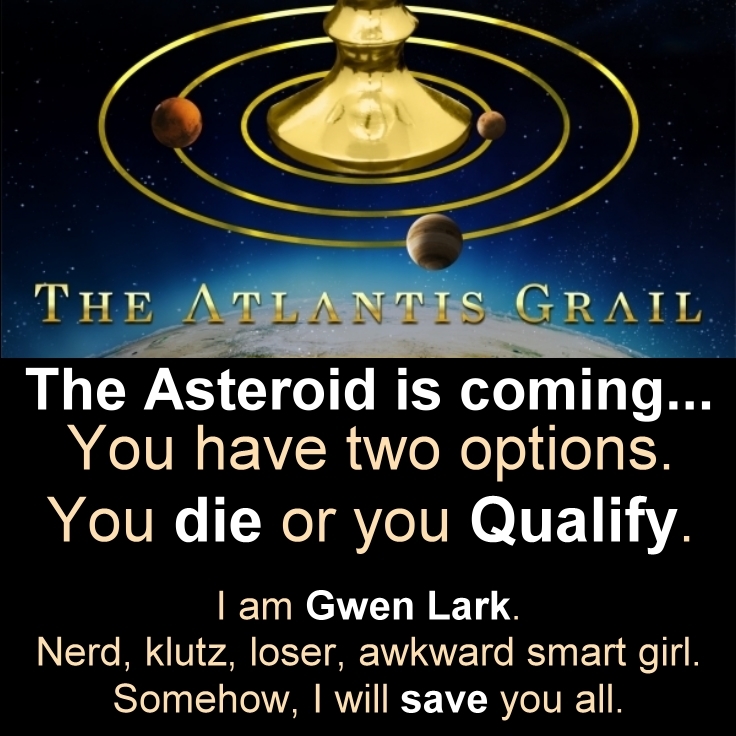 Do you have eBook in sale for the Compete: Atlantis Grail(book 2) and when and where to buy?? Oh, thank you so much! 🙂 It’s so wonderful that you like QUALIFY! COMPETE, Book two, is coming approximately on July 20, 2015, and I will post a few of the first chapters on Wattpad. The whole book will be available for sale from all kinds of places, and I am sure at least with some of them you can buy from Philippines, such as Smashwords, or Apple iTunes (iBooks), Kobo, plus Amazon, Barnes & Noble, Scribd, Oyster, All Romance Ebooks, etc… You can also ask your local library to carry the hardcover or trade paperback editions. Thanks for asking — no, you did not miss it, COMPETE has been delayed for a couple of weeks as I finish up the book. Very soon now! This is such a good book I am already up to date with book 2 on wattpad and I really wanna continue reading the whole book. when will book 2 be out for sale. Thank you! Thanks so much! 🙂 So glad you enjoyed!! I am hoping to have some preview chapters of WIN, book three, up on Wattpad for you guys in time for the holidays in December. More as the time approaches! How am I supposed to survive until December?! My only hope lies in reading the first two books over and over again until Win is finally released. Being a obsessive reader, rather than a superb writer like yourself I really don’t have the words to adequately explain just how much I loved your books. I read a lot. I’m talkin’ 5 books a week a lot and it’s been a while since I’ve been so thoroughly engrossed…. So thoroughly transported by a series. All I can say is, please don’t stop. I need more! Wow, I am blushing, thank you SO MUCH for your lovely comments! 🙂 You’ve made my day! The good news is, December is just around the corner, and I can’t wait to post the preview chapters of WIN for you over at Wattpad! Thanks again, and hang in there! Oh my goodness I finished reading book 2 and I am so amazed right now. The books are amazing. Very well written and extra ordinary narratives. I wish that the 3 book would release sooner. Just so you know Book 2 is the 1st book I have purchased in years. I loved it. Thank you. I would love to get an idea of what comes next. The good news is, the third book, WIN, will have an early holiday preview in December 2015, where I will post some of the first chapters on Wattpad. I just finished reading Compete. All I can say is wow! I loved this book. I have started reading it again because I know I missed something because I was reading too fast. I am waiting patiently for Win to come out. I loved the first two books in the series. It’s been a long time since something hooked me so well. When should we expect Win to be available for purchase? WIN, book three is coming on February 14, 2016, Valentine’s Day, but I plan to post an advance preview of several chapters over at Wattpad in December, just in time for the Holidays! Do you have a timeline figured out for when the series will be complete? I just love your books, I am another one who can not wait till Dec for the book number 3 to come out. Aww, thank you so much, so glad you enjoyed the books! 🙂 December will be here before you know it! Wow! Vera Nazarian! I think you might be a genius. Just when I think I’ve read it all, you come up with some pretty unique stuff! Unbelievably believable! OMG!! Absolutely amazing read and I just couldn’t put it down! Just finished COMPETE and am absolutely gutted book 3 isn’t released yet! Please tell me you have a release date for the full book 3 WIN!!! WIN, book three is coming on February 14, 2016, Valentine’s Day, but there will be an advance preview of several chapters over at Wattpad in December, just in time for the Holidays! When will Win be published? I loved the first two books, and can’t wait to read the third one! Do you know when it will be released? Thanks so much! I am still working on it, hoping to be done with WIN in a few weeks. The book was delayed due to my medical issues. Just read both books and love them! When will Win be published? I am having withdrawals! And yes, it’s all over at the official website! WIN, book three is coming on February 14, 2016, Valentine’s Day, but I will post an advance preview of several chapters over at Wattpad in December, just in time for the Holidays! I have looked every where for book 3 Win, couldn’t find it so decided to check out your web site. I just can’t believe we have to wait until December and then only for a couple of chapters??? You can’t mean that really! I have been so totally engrossed that at 2.30am my husband grabbed my kindle and threw it across the bedroom and said “you have been on that f……. Book for 15hours solid (read book1 and 2 back to back) couldn’t put it down.” Needless to say I spent the rest of the night in the spare bedroom. I can’t wait for book 3. It takes me about 6 months to write this kind of long book, so I wish I could do it faster but I can’t… But, it will be here before you know it! I am absolutely miserable! I read both Qualify and Compete in one 24-hour session!! I have never obsessed about a book before and I’m too old to start now. Help!! Write faster!!! P.S. I think this would make a better movie series than Hunger Games! I agree. Was saying this to friends who I’ve recommended the books to. It would be brilliant as a film. Thank you so much for the first two books in the Atlantis Grail series, Qualify and Complete. I read them both in about 3 days and started reading them again! So looking forward to February for the next one! I have to apologize for the mistake in calling the second book “Complete”. I would love to say that it was the fault of auto-correct but must admit, it was all me. It was still awesome! Oh, no need to apologize at all! LOL! Your books are getting me in toublt on my work and sleep!! I just couldn’t put Qualify and Compete down, 5 more minutes turned into an hour and than another till I finished them and now I can’t wait till book 3! Atlantis Grail series is way beyond any books I have read in the past ten years! I have never left a comment before, but I couldn’t resist. Thank you for sharing your incredible talent. I am eager for WIN to come out. I enjoyed Qualify and Compete and got my Niece hooked as well. Can’t wait for February! This book was a wonderful surprise! I love to read and when I can’t put a book down.. well needless to sau I am absolutely hooked! I just finished QUALIFY. 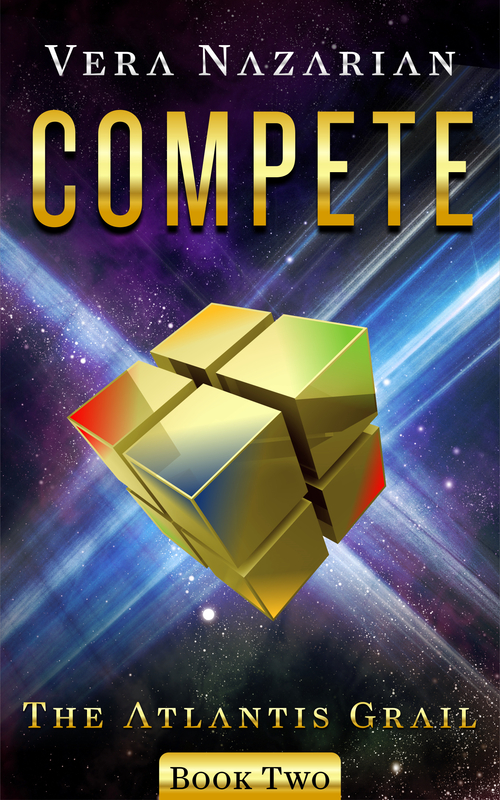 I can’t wait to read COMPETE. Kass and Gwen.. the dynamic between them is so intense.. I just love it! The characters are so well rounded and you go into great detail so that we get a real sense of who they are. Great reading….. KEEP IT UP! I love your books. I just finished Quailfy and Compete and find myself wishing that WIN is available to read NOW…. I can’t wait to find out what happens between the Prince’s family and his Choice for a bride. Thank you for your wonderful books. Book lovers know what I’m talking about. When you’re browsing through Amazon’s “Free kindle books” selection, you always get a little geeked up when you see a book that’s available that is…GASP…over 500 pages. I mean, for me, this is at least three hours of free entertainment. Qualify did NOT disappoint. It was an incredibly well written book with characters that were well developed and enjoyable. I started the read as I was laying in bed for the night…and then proceeded to irritate my husband for the next four hours as I Could.Not.Put.It.Down. Let me tell you, if a book is good enough to keep this busy working mom up past her bedtime…that’s something. I stayed up way too late finishing it…and them immediately went to work then next day and purchased the second book. Atlantis Grail has me, Vera. I’m looking forward to books three and four and am already recommending it to all like-minded book friends. And when it’s done….dare I hope for….BIG SCREEN TRANSLATION?!!! Oh man…those Atlanteans would look good on the big screen. December can not come soon enough!! Will you posting the chapters at the beginning of the month or at the end?? Please say at the beginning I cant wait any longer!!! I am literally blown away by this series! I have never read anything as fantastic. I think I experienced every emotion you can from the first two books. It has been an amazing Odyssey following Gwen through her romantic journey. I can’t wait to read your third installment! On pins and needles! Excellent series! I downloaded the first one on a Thursday night and read until 1:30 am when I had to go to sleep because a 6 am alarm is really early with little sleep. My weekend was already scheduled with full days but my late nights consisted of reading Qualify and then downloading and finishing Compete in the wee hours of Monday morning. My only sleepy regret is the last book is not out yet! Great series with endearing characters. I would LOVE to see this on the big screen! This will be a great Valentines present to me! What a lovely comment first thing in the morning, Nancy, thank you so much! So glad you liked the series! 🙂 WIN is coming soon! No doubt I’m going to buy it the minute it’s released! Literally blows your mind away with how detailed everything is..
Aww, thank you so much! You absolutely made my day! Just read the new one called Win will be released on Valentines Day. wonderful .. my birthday and Valentines day all wrapped up in one book.. Can’t wait..
Are there any particular actors or celebrities that you envision your main characters to look like? LOVED the first two! I’m so bummed I’ll have to wait until February for “Win”! Is there a synopsis for this one yet? Compliments on the Atlantis series, love both books. Awesome storyline, finally some new ideas!. I’ll be buying Win as soon as it hits kindle. God speed writing what’s left of aeson and gwen’s journey. Looking foward to take the jorney with them. Wow. You write like an angel. It was like looking a movie and I hope that soon I will watch it on big screen. Cant wait until book 3 is published. This series is amazing, I honestly think it’s as good as Harry Potter (and I am Harry Potter obsessed)! Can’t wait for the third book, the wait is killing me! This is the first dystopian future series I have read in a long time that actually has a completely new and original premise and I love it. Really hope these get made into movies! I love your books! Aeson Kass is a really interesting character, and I may have a book crush. I’d love to know what is going on in his head. Any chance there will be a few chapters from his point of view in the upcoming books? Aww, thank you so much! 🙂 I love Aeson too, he’s one of my favorite heroes I’ve written! OH MY HOLY SWEET POTATO!!! That is way more than I was expecting and I am super excited to finally see exactly what thoughts and emotions he has been hiding behind that infuriating mask of his. Thank you so much! Hi, I originally read Qualify on Wattpad and I loved it. I got so obsessed that I brought that I bought the next book from Amazon the day after I finished Qualify! Please, will you post the 1st chapter of Win on Wattpad? After Compete’s ending, I don’t think i can survive if I don’t know what happens next! PS: this book series should TOTALLY be made into movies! I read both Qualify and Compete and I can’t wait to read WIN. These books are both entrancing. I could not put them down. I agree that with the previous posts…Qualify should be made into a movie. I love the plot lines!!!! Just got done binge reading your books and I’m obsessed. Team Kass… like yes. I love his character and I although I knew where you were going with him. It didn’t make it easy to read because I just wanted to slap him the entire time, but I’m still love him. At the end of the second book, I was pretty much in tears. I knew what he wanted all along and I knew he was waiting for something. I was just waiting for anything at this point! I cannot wait for the next books! I’ve already got my days off so I can binge read! And for real… this needs to be a movie, I’ve already got to the website and voted on the characters. And the good news is, you get to read the Holiday advance preview chapters of WIN starting on Wednesday December 16, on Wattpad! So, very soon now! I got your book “Qualify” and could not put it down. I am a 60 year old male and am a NON-READER, except for books that I had to read in college. This book turned me into a reader of books, and I just had to purchase you next book “Complete” and again I had some late nights staying up reading you book. It will be a long wait until your third book “Win” comes out in February. THANK you so much for turning me back to a reader of books. Now, I download some books on my new Kindle, but can not find an author like you that keeps me up at night reading, like your books. I got Qualify from Amazon when trying new authors for free. I absolutely loved it as well as Compete. Can’t wait for Win. Sorry about all the pressure from the fans who want it earlier. Your books are worth waiting for. Thanks for amazing books and all the hard work . I started your book Qualify on my recent vacation with my daughter and grand-daughter in November. I read it on airport layovers. As soon as it was finished bought and downloaded Compete. Time went so fast in the airports that even a 4 hour layover didn’t bother me. It is an absolutely wonderful series and will buy ‘Win’ as soon as it is out. You really caught me when you ended Compete aqs you did! I’ve started posting a Holiday advance preview of WIN over here at Wattpad, so here’s your chance to enjoy Chapter One of WIN before the book is out next year! The 3rd book comes out on my 21st birthday! I hope I’ll be able to get it at that time lol. I would just like to say thank you for writing these books!!! Arghh they are amazing!!!! I brought them both on the 19th Decembre, and stayed up until 2 in the morning reading them! And then read them each 7 times. And then couldn’t believe that I had to wait 2 WHOLE MONTHS until Win comes out so googled your name. And found out about Wattpad. And then signed up and read all of the holiday specials. I have told all my friends to go read the first book, which hopefully they will. I’m so glad that the first book is free, because that’s how a found Qualify, scrolling through Amazon at the zero pence option! Of course, I then HAD to buy Compete. The build up in both books had me on edge the entire time! When Aeson nearly died and Gwen got caught- god I was about to faint. And let me tell you, I was shaking through any of the Aeson/Gwen moments, always thinking -‘This is it, this is it! They are going to share their love for each other!’ And then Aeson would get defensive, or the music would stop. Grrr. But the Holiday Special, ahhhh. My heart melted. So much love!! And Anu- please don’t make him any more grown up or serious. He’s one of my favourite characters. I, for once, am looking forward to Valentines Day, and not because the leftover chocolate is at a sale price the day afterwards, but rather so I can finally quench my thirst and feed my hunger for more information on Aeson, Gwen, Lark 1,3 and 4, Gwens friends, and anyone who is part of this book. Again, thank you for this book, and the pleasure it gives when reading them! Your delightful note has absolutely made my day, thank you so much! 🙂 Such a thrill to hear that you are enjoying the books, and more coming soon! I stumbled on this book when I had to d a reading project it seemed interesting so I picked it. After reading it I absolutely love this book and has became one of my favorite books I have not yet read the second one but I hope soon I’ll be able to read it. Thanks for such a great book and I hope the second one is equally the same or even better. I love this series!! I read Qualify and couldn’t stop talking about it to my sister so I (not so patiently) waited for her to read it and now we are reading Compete together! We live a time zone apart and I finished it last night. I couldn’t wait to call her this morning to talk about it!! We are so excited to find out what is going to happen next! Thanks for making this such an addictive series!!!! Just wondering when “Win” comes out on Feb. 14 will there be a kindle version? these books are better than the Princess Bride or Harry Potter! my goodness these books are probably better than peanut butter! and im a twelve year old girl so you could call me a crazed atlantis grail fan. i know you get alot of fan mail like this but these books are the greatest ones ever i give these books one hundred stars out of five. please dont stop writing and dont let anyone discorage your work! Thank you so much, Gracie! 🙂 Wow, so glad you like the books, and it’s so sweet of you to say this! all my friends are excited about the valentines dace but i over her like win!win!win! Wow Vera! These books are absolutely superb. This book must get made into a motion picture! And I have been helping with that. After i read Qualify and Compete i started telling my friends at school about it. I have over 60 friends. You could say im the popular type! So i recommended these books to them all and 50 has read win and compete so now im asking them if they can write letters to producers and directors! Im probably one of your biggest fans! When i read the first three chapters of win i squealed out “Yes take that logan!” And i woke up my whole family but it was worth it! I love your work so never stop writing. One question though will the whole book of win be posted to read on amazon February 14 so I can buy it? I love these books sooooooo much but does the next chapter of win come out on Feb. 14 or the whole book? I’m waiting patiently (not) for February lol. when will the whole book of win come out? Noooo!!!! I have just finished Book 2 of The Atlantis Grail series. I am going to have to read Books 1 & 2 again just to get through the torturous waiting period for the third books’ release. I will definitely be buying it as soon as it is released. I loved the first two books!! I am dying to read what happens to Kass and Gwen in the third book!! Does Kass allow her to participate?? Please please tell!! I can’t wait to strike of the days until 14th of February 2016. Will it release in India on 14th. Please tell “yes”. -The atlantis grail diehard fan. I am definitely going to buy the third book as soon as it releases!!! That is a promise. And dont take long till the fourth book please. i will die of frustration!! Wait I just saw that it has been delayed for a few weeks!!! Why?? Please I was desperately waiting for the third book!! The delay is because of my chronic medical issues that have gotten so severe that I can no longer work fast enough to meet deadlines. So I am writing the book as fast as I can right now, and when it is done, it will be released. Waiting for the third book desperately!! Can you give us an approximate date, when it will release?? Can you give us an approximate date of when Win will be released, thx!! I am sorry, I can’t, because I don’t know. I love your books! I am sending wishes of healing of body, mind and spirit for you and your loved ones. Yeah, I am weird that way Also may your parents, of blessed memory, be remembered for a blessing. If you were a subscriber to my mailing list, you would know the answer already. Yes they are, on Wattpad, as usual. The Atlantis Grail series are amazing! Are you publishing them in hard copies in bookstores? I live in different country and it’s really hard for me to buy the ebooks, cause it’s in dollar. Thank you! Yup I am now a subscriber to your mailing list.. read the first few chapters…. they were amazing!!! I am waiting for more (14.2.16) These books are far better than the other books!!! Now I know why you never had Aeson and Gwen kiss! There were many times that I wish they would have, but am glad he persisted in waiting. However, he seems angry with his decision of picking Gwen for his bride. Can’t wait until Book 3 comes out. I plan on buying all the remainder books as they become available! Absolutely LOVE the series. Please get better soon! I love your books!! They are absolutely amazing. I hope you are feeling better. I can’t wait to read win!! I am very sorry to hear that!! All i can say is that your series is WOW. Its so interesting i was up till 3am reading it. Hope it get to be a movie. Much better than hunger games..
Really appreciate your writing Vera. Here’s hoping you do get much better health wise.. Also love the preview chapters of book 3 on wattpad. Get better first then you can give us the rest. Even though we want it all now. We have no choice but to wait. Will be eagerly looking forward to your updates. When is the new release date for Win? That, my dear author, is just mean! We are all chomping at the bit for whatever you can toss us! No pressure….but lots of pressure! We need our fix! I am sorry to hear about your health issues, and I appreciate that you keep plugging away despite chronic pain. Please do not hurry to complete WIN. One of the best things about your books is that your characters are well developed and multidimensional.That takes time, energy and concentration, things that are hard to come by when you don’t feel well. Good luck and thank you for some great binge reading material. Hi Vera, your three Atlantis Grail books are fantastic. I’m currently on tenderhooks reading book 3 Win. You are a wonderful writer and I’m completely transported into Aeson and Gwens world. I’m not a teenager anymore, mum of two teenagers myself. 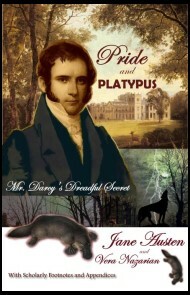 I feel that this book would be loved by all ages, by both male and female fans. I really hope that all 4 books are made into a film, but not chopped up, as some films of books have been done in the past. Thank you for your wonderful imagination. Don’t rush hour talent, look after yourself first. I can wait…. might not have any nails left! I have devoured Qualify and Compete, I have not enjoyed a book in this manner for several years. I spent two weekends reading them. Hi Vera, I’m a big fan of your books, but I was wondering how much “Win” is going to cost? Thanks so much! 🙂 The retail price for WIN should be the same as COMPETE. Hello, I go to school at prairie Hills middle school in hutchinson kansas, and my eigth grade reading class is doing a book Fair, and we would like to know if you could Skype with us by any chance? The book Fair is March 10-17. If you could, it would be much appreciated!!! Please consider! -Christina brown. Oh, okay. Well thank you for your response, and I hope you’re well soon. I would like to say that I enjoyed your books VERY much! I loved the plot, and characters, and the cliffhanger at the end of the 2nd book absolutely killed me! I cannot wait until the third book is done! I am so sorry you’re dealing with chronic pain, and I feel for you during this deadline. I’m sure It’s hard knowing that no amount of encouragement from your readers will make a disabling condition less disabling. So from one person in pain to another, I hope this deadline doesn’t make things worse for you. Good books. I read a lot of books and it was easy to get into them. I could read them over and over again. Very well written. Worth the read. Looking feared to more of your books. I am looking forward to WIN. Will Win ever be available on Kobo? I have been waiting for so long to buy the third book in The Atlantis Grail series and Kobo still doesn’t have it. That’s because Win is still not done! When it’s done it will be available everywhere, including Kobo. Really enjoying this series just read book 1 and 2 and am very excited for book 3 thank you for the captivating story. Hey Vera I hope your book comes fast! I have been pulling my hair since February when I finished Compete. But do take care of your health! I read the first 26 chapters on wattpad!! It says it is a draft. Does that mean that when the book is actually released there may be a few changes in the chapters posted on wattpad? Loved your books! Your book should be made into a movie and I’ve already asked on the website link posted in March to make your book a movie! Cant wait to see the movie flourish! Yes, of course there will be changes. I am only posting the raw uncorrected first drafts on Wattpad. The final published books are edited, cleaned up and have more/new/revised/improved details. It’s a natural part of the revision process when you finalize a book. A movie is completely out of my control — only YOU, the readers can make the books into a big enough bestseller that movie studios notice and express interest. Hello Vera, I can truly say that I devoured both Qualify and Compete. I read them both in a day and a night. It has been a long time since books grabbed me so that I couldn’t stop reading them. Thank you for a wonderful trip to another time and place. I can’t wait to continue the journey. When is win coming out? I am still working on it, hoping to be done with WIN in a few weeks. The book was delayed due to my medical issues. Hi Vera! I just had to write and say I LOVE this series. I got the first book for free – thank you!- and bought the second book right after I finished the first. Finished both in two days. I was alternately thrilled and then devastated to find out that the book won’t be out for a couple of weeks, but your health is more important! I don’t think I’ve been this excited about a book since the Hunger Games. I can never get enough of it!! Your book is amazing and I just cannot get enough of it!! I used to hate books but then started reading once or twice but after reading your books!! Non-stop reading!! Thank you so much!! You are such a bright and creative individual. Thanks so much for such a great series. Been waiting so long for win to come out! I’ll be devastated at the end of it but will wait for the next book!! Thanks again vera and I hope you are feeling better!! I just discovered you. I cannot wait for WIN! I keep re-reading COMPLETE. You have to release this soon or I will burst! 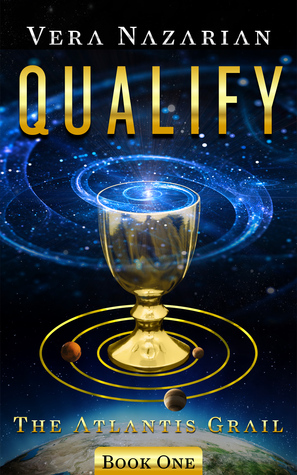 I recently encountered your first book, “Qualify.” Like everyone else, I absolutely devoured the first two books. As soon as I finished the first one, I had to buy the second one. I read it even faster than the first one. They are actually too good because I feel that reading them so fast, I must surely be missing things! I am currently unemployed. To that end, I have time on my hands, and would be very happy to come to you and help you by typing for you while you dictate. =) Please take care of yourself and looking forward to books 3 and 4. Well, into the thick…. read the first two books. On my way to Ottawa from Orlando I decided to read something light. I kept asking myself, “Why are you reading this.” Like Gwen, I was a “browner”. Not a true browner though…. I was a bit of a toughie. OK, first book, half way through I gave up questioning my choice of reading material and went all out. One thing…. killing kids was not sitting well with me. Now book two: It’s a bridge to book three. Interesting on the dance theme. In real life, my young and beautiful French teacher broke me out of my shell to dance. OK… now book three. ???? Where???? What!!!! Now I feel guilty… take care, get well, don’t worry about the book. Afterall, we have Donald Trump to entertain us. What a movie that would make!! PS… I’m Canadian and would love to see more “Canadian” content in your book. Why? Well, read this to begin: https://www.amazon.com/gp/product/B0084ZHNT4/ref=kinw_myk_ro_title. Just a tip of the iceberg, kiddo. I just finished the first two in two days! Couldn’t put it down. Any word on release dates for the third? Just reread Compete Qualify and the 26 chapters of Win on watt pad in 2 days I was in serious withdrawal. I REALLY MISS THE WEEKLY CHAPTERS on wattpad and hope you are feeling better and can finish Win and Survive soon. I tell all of my friend aquaintences and their teens about this series, it is just that good. Hope to see a lot more writing out of you in the future.your Witt and artistic flair for drawing the reader in is unparalleled by many writers I am a true fan. As a nearly 40-year-old man I absolutely hate the fact that I loved your first two books in this series. I really shouldn’t. These should be just for teen girls. But, I can’t help myself. They’re like a guilty pleasure. Like listening to Taylor Swift…I don’t want to like it, but I do! I keep checking the website, hoping that the next one is done. Alas! Sorry to hear about medical issues! I would read on wattpad, but waiting for the next chapter would be worse than waiting for the next book. Let me tell you a secret…. Although these books are “intended,” or better to say, marketed for young adults, they really are cross-genre — equal parts science fiction, action adventure, romance, and ancient historical mystery/thriller for all ages. So you’re okay to read and enjoy! Yes, it’s the other 3 parts that draw me in so well. But when my wife looks at it she teases me for liking a romance book. Oh, I have. I think she wants to wait until the series is done so she can read them all at once. I hope you’re feeling better. I am a freelance writer (newspaper, not book) and am totally addicted to the Atlantis Grail series. You have created a relate-able, multi-layered heroine and her fiance, who is a dream. Just wanted to say hi and tell you I’m 61 and love your books. It’s the end of the month, is it done is it done? Lol I’m on pins and needles. If there are 26 chapters on wattpad, about how many will be in the final book? I’m trying to decide whether to read them or wait for the book to come out. I don’t want to leave off on a huge cliffhanger!! The finished book is going to be the longest one of the series yet, with anywhere from 50 to 60 chapters. I’m currently writing chapter 36, but this second portion of the book has tons of action, so it should go faster. I’m really looking forward to the release of Win!! I read the first two books in two days and just couldn’t put it down. Hands down my favourite series ever. Thank you for sharing your ability to make me feel so strongly for the characters and the events. Never have I felt so euphoric, elated, nervous, disappointed and on the verge of tears, these books are truly amazing. You do an amazing job of conveying what characters are truly feeling in a round about way that causes me to have an strong gut feeling about what each character is going through. I honestly loved your books because I was in the book-hole and desperately needed a new book to read on my kindle because all the books I liked are all ready finished like the Percy Jackson series, Divergent series, The hunger games, and life as we knew it… But one day I was looking on Amazon and saw Qualify for free and just had to purchase it and Compete. To my surprise, they both gave the said series “a run for their money.” Also I thought it wouldn’t be good because of the saying “you get what you pay for” but you made the series so well… You proved me wrong and I’m so glad you did… Is there any progress on win yet? I can’t find book three and four of the Atlantis Grail. I did not know you as writer until Amazon suggested QUALIFY. I was hooked in just a few pages. COMPETE same thing. Great read, don’t rush book three and spoil it though its publication is eagerly awaited. I’m re-reading the first two books again (procrastinating from the pile of study I’m meant to be doing..), and I just wanted to let you know that I really enjoyed them. The world is richly detailed, and as a fellow geek/nerd, I really appreciated the factual/fictional amalgam that is consistently scientific enough to make everything just. About. Plausible. I ended up spending an evening researching where we’re currently at re: space travel, and it seems like Elon Musk is working on it, but anti-gravity dances are still a few years into the future.. Anyway, thank you, and I am excited to see how the story unfolds. Still waiting anxiously for release of Win, but understand totally the issue of medical problems delaying your incredible writing. Could voice entering help? Not trying to rush you, but however soon you can finish 3 and 4, and get started on the rest of the series. Judging by the letters I have read and the knowledge that only about 0.1% will ever write and comment, this series could easily extend beyond my lifetime (as has Vince Flynn’s Mitch Rapp series). I am hopeful that as long as I have wonderful books to read I will keep going forever LOL. And yours are some of the best I have read, surpassing even Heinlein’s writings. If you get out in the midwest for signings I would love to meet you in MN summers or extreme South TX in winter. Thanks so much! 🙂 I do hope it’s clear this is only a 4-book series, although there will be some additional novellas from different characters’ POVs to fill in some of the blanks, coming later. I have already written to you a couple of times in February. That time I was eagerly waiting for the books and kept checking the website….. It has been months. I understand you have your medical issues so I’m totally okay if you take more time. Don’t rush up, make the book the best……. I have read the first 26 chapters on Wattpad. AMAZING!!! Just to VERAfy(pun):P is it just a pre-edited version or will it come out word to word, fullstop to fullstop, the same way when you release the book or will you make some changes to it when it is released?? Just to let you know our school featured one of your quotes as the main TAGLINE for our School Annual Day. Hope to hear about the release of WIN soon…. It is a first draft, and labeled as such. Wow Vera, I love this book series! It meets my taste of my favorite genres! I CANNOT wait for Book three! It keeps me up late at night and I finished both of your books within 45 minutes on eBook and its just amazing. As an aspiring fantasy author, you have set the bar very high. I am also an English second language teacher, a violinist and artist. When you described language in Compete, I was brought to tears. I was profoundly touched. 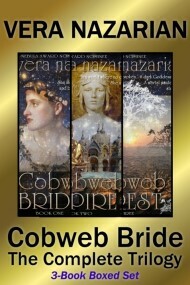 I have just finished your Cobweb Bride Trilogy and again…amazing. I am transported by your books. Thank you. I am inspired. I only hope one day I can craft a story that is as much art as it is the written word as you do. I am looking forward to Win & Survive. the books are awesome! can’t wait for book 3. but please, don’t take this the wrong way but can you please tone down the romance (a little bit)? Please? Continuing to wait for your next book , Win. I keep checking back , but it isn’t out yet , obviously . I know you have been going through an awful lot this past year and hope that you are both doing and feeling better . I hate to bother you , but do you have any idea at this point when your next book in the series will be available ? Please take care of yourself . Hi, I read both of the atlantis grail books last summer. I read each one in a day I loved them so much. I recommended the book to my family and friends. Everyone who has read it has loved the series so much. My sister was very upset that I let her read the first 2 before the 3rd one was released, she enjoyed them immensely! I would say this series is the best series of books I’ve read. Your style of writing grips you and you feel like you are actually there. Thank you so much for such an amazing book series. Can’t wait for the next one to come out! Thanks so much, so glad you enjoyed the books! 🙂 I am still working on WIN, book three, hoping to be done with it soon. The book was delayed due to my medical issues. See the official TAG series website and Facebook for regular progress updates. I hope you’re fully well again. LOVE your Atlantis series! I have all and I am avidly waiting for Survive. I even have my husband interested in this series. Great work! Thank you! Would love to see this book made into a movie.. It is a great series. The only problem is I cannot stay out of it until it is done.. 2 days. Excited for book 4 a year is a long wait.. I too would love to see ti made into a movie! 🙂 However, movies are completely out of my control, but in your hands — if enough readers buy the books, spread the word to their friends, and make the series into a bestseller, then film studios might show interest and consider it. That’s how it works. I love your books, I’ve read the Cobweb Bride series and the 3 books of Atlantis Grail. I am 70 years old and love the story of Gwen and Aeson. The stories are exciting and very imaginative. Keep up the good work, and good health. I am a little over half way through Win and cannot wait for Survive. Thank you so much for this series. Love it!! Thanks so much! 🙂 Glad you like! Love the “Atlantis Grail” series. Please hurry with the 4th installment. I am very anxious to see what happens to all of the characters. There was an extra word left in – he – before Aeson’s name earlier where some text was changed. Still, you got the idea. I have more if you like it. Please do NOT send me your fan fiction. For LEGAL COPYRIGHT REASONS, as a professional writer I have a legal policy not to read it, EVER, nor do I ever choose to see it. See my FAQ for the details of the fan fiction policy. I am deleting your comment with your writing, because it is inappropriate. I enjoyed reading the series with my daughter. Waiting for the last book will be hard! I’m guessing at what some of the reveals will be, wondering which earlier tidbits will be explored and which were just teasers that don’t lead anywhere. Talking with Any and Gennio she learned that zero G and alcohol don’t mix for example. Will that come up later, and how? Bullets go harmlessly through pegasi, but they eat light. What about lasers? Will the origin of the Kasseopei talents remain a mystery lost to history, or is it connected to her own? I can’t wait to read the last book, and entertain myself in the meantime by coming up with my own versions of some likely scenes. Thanks, and glad you enjoyed, and you certainly don’t need to speculate about the story alone, that’s what the official TAG fan forum is for. I absolutely love this series. I have 2 sisters now ‘hooked’ and we are all anxiously awaiting book 4. We also think they would make a great film series! Fingers crossed! Thanks so much! 🙂 There will be plenty of novellas after the main 4-book series is done. Please visit http://www.TheAtlantisGrail.com for more info! Thank you so much for these preview chapters Vera! They are wonderful and I’m both excited and dreading the finish of the final book. I love it but will hate to see the story end. I loved the first three Atlantis Grail books! Any projected timeframe for the release of Survive? Thank you so much for this story! Also, I noticed in the previous comment that there were preview chapters released. Where can I find them? I’ m having withdrawal! Thanks! The three books were awesome! Your books are my favourite! I am waiting for the 4th book! I love this series! I am almost done with Win. I hope they make a movie out of your series. Looking forward to the next book! I love the Atlantis Grail books! Beautifully written and Edited to perfection. The character development is fantastic. I named my King Charles Spaniel “Aeson”. Which I learned is Greek for handsome or popular boy. I am very eager for Book 4. This series could go on forever. Thank you Vera for a job well done! Please give us a small hint for Survive. Just finished reading the 3rd book. It was just as amazing as the first two. Any idea when the 4th one, and hopefully not the last one, will be out? Such a huge fan nothing is filling the big Atlantis grail void since I am waiting for the final instalment. When will you be putting more chapters on Wattpad? I have started reading the books again since nothing really compares. I’ve been reading your Atlantis Grail Series. These books are so inspiring. I love the bond between the four Gee siblings and their parents. I love the way that you craft your books in such a way that education, intellect, wisdom and the such are so highly praised and made to be desirable to young people. I love the aspects of all the Earth Children striving to be and do their best, and to overcome all obstacles. Reading these books has made me feel sharper and more aware of my own strengths and lack of. I’ve been inspired to work harder at things I fail at. I hope this effect continues for me. Your characters are so relate-able and inspiring. I especially love Gwen and her ingenuity. I had a long period of time where I started to hate Aeson, but you’ve made it so clear in book 3 why he acts the way he does in books 1 and 2. I now, utterly adore him. Consider me a huge fan of your works. Thank you for all your hard work as an amazing author and your generous spirit in sharing so much with us. I hope these books are adopted for a movie or TV series. I know that’s every author’s dream and they can’t all have that wish fulfilled, but your series deserves it (even though I know a movie could never do any of your books justice). So many beautiful descriptions and such a clever and creative world you’ve created in Atlantis and their tech. I wish desperately that I could let all three of my children read your books, but feel I can’t for a few reasons. I love that you omit fowl language and only imply it. That’s so wonderful to me. The series has too many libido inducing scenes (which, though I understand the purpose and need for) I wouldn’t want my teen and preteens to have to be influenced by just yet. Not sure when I’ll change my mind on that one, as I so dearly wish they could be inspired by these books the way I have. Thank you again for these stories. You have an incredible mind and imagination. From me, you have much love and appreciation for your works! I have just finishe re-read ing all 3 books for the third time!! Help! Thank you so much, so glad you enjoyed the TAG series books! Have you read the preview chapters of SURVIVE on Wattpad?